Black Friday (and Cyber Monday) iscounts have arrived in Spain and they are planning to stay. This popular sales experience in online and physical shopping, imported from the United States over the Thanksgiving holiday, is the starting point for Christmas shopping in America. However, it has begun to root strongly in Spanish companies. Nevertheless, shopaholics (especially last-minute shopaholics), as well as discount lovers, know that there is a place where it’s always Black Friday – the airport duty-free shops! Join us in this journey through the most curious and inexpensive duty-free shops that make waiting time at the terminal much more entertaining. We don’t need to go far to find the first remarkable duty free airport… Did you know that Spanish airports’ duty-free shops are among the cheapest in the world? The prices of alcohol, cigarettes, perfume and sweets are, on average, 13.91% cheaper than at airports in other countries. The one that is more fun to shop at is, of course, Adolfo Suarez Madrid airport, that has over a dozen of different-sized duty-free shops across its terminals. Those who want to save some money in their cigarettes (one of the most popular duty-free products) will have to travel to Lanzarote. On the other side of this ranking, Paris Charles de Gaulle airport has the highest prices – more than 30% on average. We stay in Europe for a stopover at Heathrow. The airport, located 32 km west of central London, is the largest in Europe. With over 190,000 international passengers per day, four terminals covering more than 180 destinations in over 90 countries, and a capacity of 90 million passengers annually, this is the world’s busiest airport in the world by international passenger traffic. 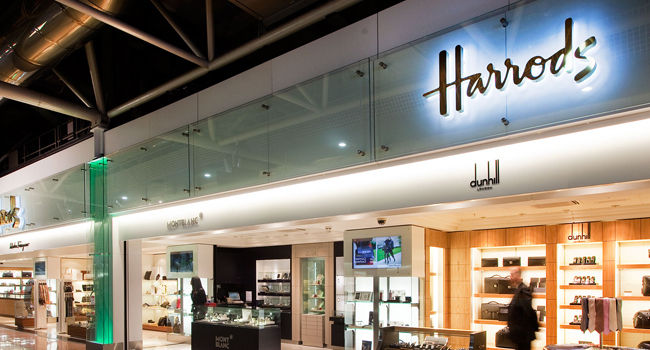 At Heathrow, they try to make waiting times less tedious with shops that include any brand that you can imagine, including the world famous department store Harrod’s, which has branches in all terminals. In addition, the airport offers many services such as personal shoppers, delivery at destination, or refund within 60 days services. Another great thing is their online store, where you can buy whenever you want and collect your purchases on the day of your flight. At the most important airport in the Netherlands, Schipol, they offer tourists a very convenient service: if you are going to travel within the European Union and must return to Schiphol, they can store your purchases (minimum value of 20 euros) for free and well sealed, until 30 days after purchase. In order to use this service, you just have to ask for it at the shop where you make the purchase. This was also the first airport in Europe to offer free WiFi access. Gourmets will have to land in Asia. Changi airport in Sinagapur, the busiest airport in Southeast Asia, is always at the top of every list of best airports in the world. Its nearly 300 stores spread over three terminals operate 24 hours a day at full capacity with very prestigious brands such as Prada, Gucci, Hermes, Burberry, Rolex, Armani, Bulgari and Tiffany, along with the first official FIFA store in the world and the first Ferrari store in Asia. There are, of course, some stores that are a true children’s paradise, such as Planet Kids Toy World and Kaboom. It has a swimming pool, computers available to travelers with free internet access and a system of guaranteed prices that ensure that you get a double refund of the price difference if you find the same product at a lower price at major retailers in the city center. 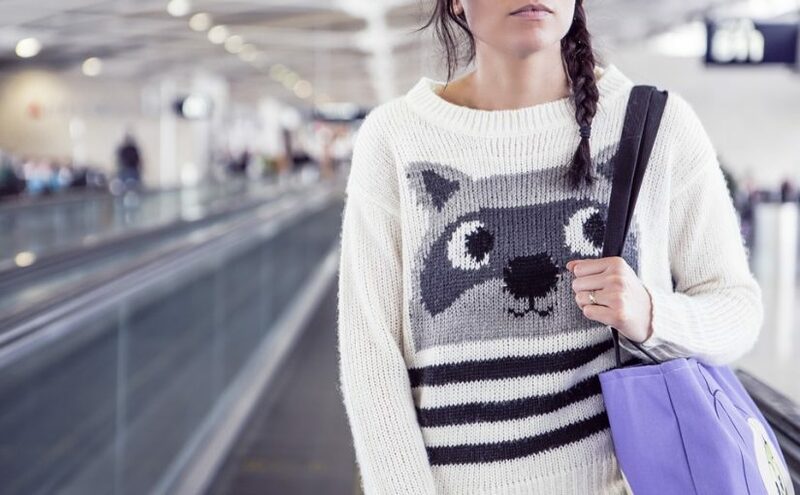 This airport is, most probably, the perfect destination to go shopping. And finally, we end this world tour of discounts at a shopping paradise, Dubai. 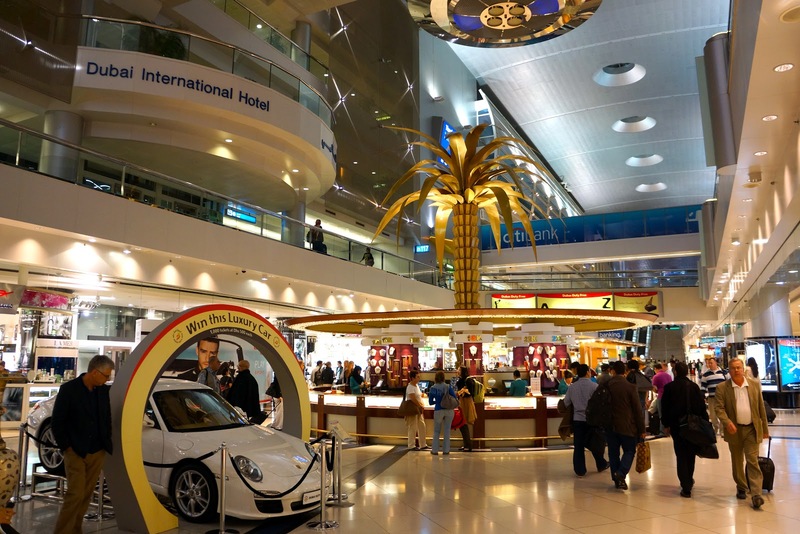 Its international airport is as classy and exclusive as you would expect from this famous upscale shopping destination. 11,000 square meters of shops for travelers that look more like a mall than a regular duty-free store. Dubai’s airport has the largest terminal in the world, and within it, one of the largest shopping centers in the United Arab Emirates. Dubai duty-free shops are famous for their great deals on perfume, electronics and jewelry, especially Dubai certified gold and diamonds. It is also a haven for smokers, where you can buy a 200-cigarette box for an average price of about 10 euros. You can find everything you want, event the most exclusive things, 24 hours a day, seven days a week. And if tourists need to relax after the holidays, Timeless Spa offers a variety of exclusive therapies focusing on wellness, rejuvenation and beauty that include massages and facial or body treatments. Black Friday & Cyber Monday discounts arrive to Spain. Did you know where it's always Black Friday? 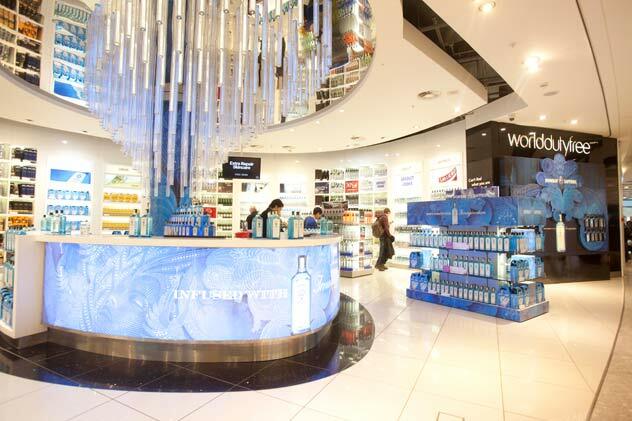 Discover the best duty-free shops at the airports.